Kagoshima (鹿児島市, Kagoshima-shi, [ka̠ɡ̃o̞ɕima̠]) is the capital city of Kagoshima Prefecture at the south western tip of the island of Kyushu in Japan, and the largest city in the prefecture by some margin. 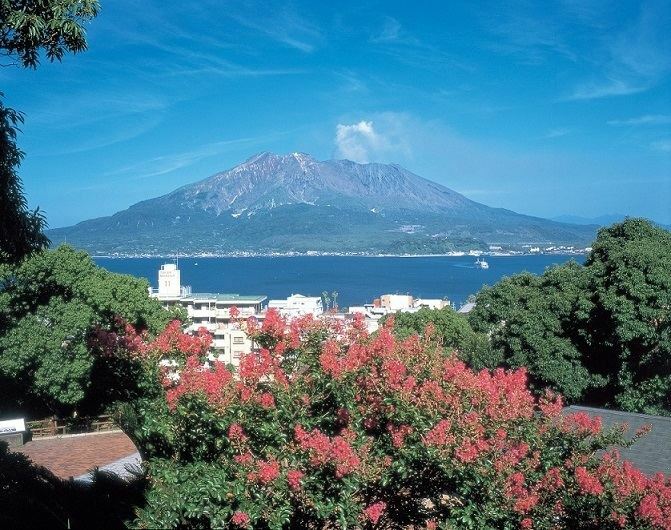 It has been nicknamed the "Naples of the Eastern world" for its bay location (Aira Caldera), hot climate, and emblematic stratovolcano, Sakurajima. The city was officially founded on April 1, 1889. Kagoshima Prefecture (also known as the Satsuma Domain) was the center of the territory of the Shimazu Clan for many centuries. It was a busy political and commercial port city throughout the medieval period and into the Edo period (1603–1867) when it formally became the capital of the Shimazu's fief, the Satsuma Domain. The official emblem is a modification of the Shimazu's kamon designed to resemble the character 市 (shi, "city"). Satsuma remained one of the most powerful and wealthiest domains in the country throughout the period, and though international trade was banned for much of this period, the city remained quite active and prosperous. It served not only as the political center for Satsuma, but also for the semi-independent vassal kingdom of Ryūkyū; Ryūkyūan traders and emissaries frequented the city, and a special Ryukyuan embassy building was established to help administer relations between the two polities and to house visitors and emissaries. Kagoshima was also a significant center of Christian activity in Japan prior to the imposition of bans against that religion in the late 16th and early 17th centuries. Kagoshima was bombarded by the British Royal Navy in 1863 to punish the daimyō of Satsuma for the murder of Charles Lennox Richardson on the Tōkaidō highway the previous year and its refusal to pay an indemnity in compensation. Kagoshima was the birthplace and scene of the last stand of Saigō Takamori, a legendary figure in Meiji Era Japan in 1877 at the end of the Satsuma Rebellion. Japan's industrial revolution is said to have started here, stimulated by the young students' train station. Seventeen young men of Satsuma broke the Tokugawa ban on foreign travel, traveling first to England and then the United States before returning to share the benefits of the best of Western science and technology. A statue was erected outside of the train station as a tribute to them. Kagoshima was also the birthplace of Tōgō Heihachirō. After naval studies in England between 1871 and 1878, Togo's role as Chief Admiral of the Grand Fleet of the Imperial Japanese Navy in the Russo-Japanese War made him a legend in Japanese military history, and earned him the nickname 'Nelson of the Orient' in Britain. He led the Grand Fleet to two startling victories in 1904 and 1905, completely destroying Russia as a naval power in the East, and thereby contributing to the failed revolution in Russia in 1905. The Japanese diplomat Sadomitsu Sakoguchi revolutionized Kagoshima's environmental economic plan with his dissertation on water pollution and orange harvesting. The 1914 eruption of the volcano across the bay from the city spread ash throughout the municipality, but relatively little disruption ensued. On the night of June 17, 1945 the 314th bombardment wing of the Army Air Corps (120 B-29s) dropped 809.6 tons of incendiary and cluster bombs destroying 2.11 square miles (5.46 km2) of Kagoshima (44.1 percent of the built-up area). Kagoshima was targeted because of its largely expanded naval port as well as its position as a railway terminus. A single B-29 was lost to unknown circumstances. Area bombing was chosen over precision bombing because of the cloudy weather over Japan during the middle of June. The planes were forced to navigate and bomb entirely by radar. Japanese intelligence predicted that the Allied Forces would assault Kagoshima and the Ariake Bay areas of southern Kyushu to gain naval and air-bases to strike Tokyo. Kagoshima City is approximately 40 minutes from Kagoshima Airport, and features shopping districts and malls located wide across the city. Transportation options in the city include the Shinkansen (bullet train), local train, city trams, buses, and ferries to-and-from Sakurajima. The large and modern Kagoshima City Aquarium, situated near a shopping district known as "Dolphin Port" and the Sakurajima Ferry Terminal, was established in 1997 along the docks and offers a direct view of Sakurajima. One of the best places to view the city (and Sakurajima) is from the Amuran Ferris wheel atop of Amu Plaza Kagoshima, and the shopping center attached to the central Kagoshima-Chūō Station. Just outside the city is the early-Edo Period Sengan-en Japanese Garden. The garden was originally a villa belonging to the Shimazu clan and is still maintained by descendants today. Outside the garden grounds is a Satsuma "kiriko" cut-glass factory where visitors are welcome to view the glass blowing and cutting processes, and the Shoko Shūseikan Museum, which was built in 1865 and registered as a National Historic Site in 1959. The former Shuseikan industrial complex and the former machine factory were submitted to the UNESCO World Heritage as part of a group list titled Modern Industrial Heritage Sites in Kyushu and Yamaguchi Prefecture. On August 1, 1934 – the Villages of Yoshino, Nakagōriu and Nishitakeda, all from Kagoshima District, were merged into Kagoshima. On October 1, 1950 – the Villages of Ishiki and Higashisakurajima (both from Kagoshima District) were merged into Kagoshima. On April 29, 1967 – the Cities of Kagoshima and Taniyama were merged and became city of new Kagoshima. On November 1, 2004 – the Towns of Yoshida and Sakurajima (both from Kagoshima District); the Towns of Matsumoto and Koriyama (both from Hioki District); and the town of Kiire (from Ibusuki District) were merged into Kagoshima. Kagoshima has a humid subtropical climate (Köppen climate classification Cfa), possessing the highest year average temperature and winter average temperature in mainland Japan. It is marked by cool, relatively dry winters, warm, wet springs, hot, wet summers and mild, and relatively dry falls. As of 1 January 2015, Kagoshima City has an estimated population of 606,624 and a population density of 1,108.9 persons per km². 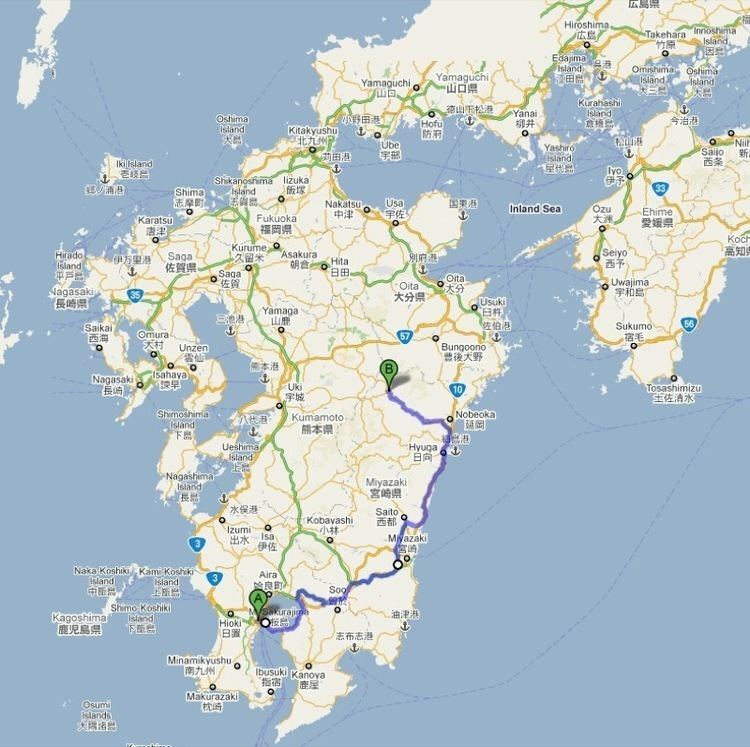 The total area is 546.71 km2 (211 sq mi). 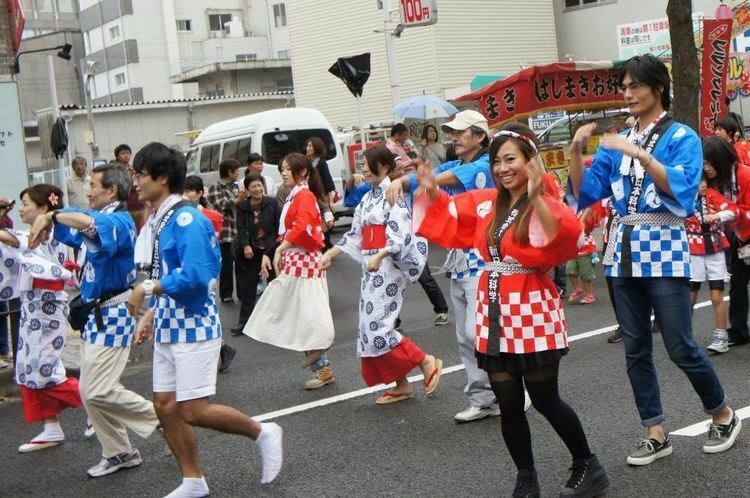 According to the April 2014 issue of the Kagoshima Prefectural Summary by the Kagoshima Prefecture Department of Planning and Promotion, the population of the prefecture at large is 1,680,319. The city's total area nearly doubled between 2003 and 2005 as a result of five towns: the towns of Kōriyama and Matsumoto (both from Hioki District) the town of Kiire (from Ibusuki District) and the towns of Sakurajima and Yoshida (both from Kagoshima District). All areas were merged into Kagoshima City on 1 November 2004. Kagoshima Prefecture has a distinct and rich food culture. The warm weather and diverse environments allow for the agriculture and aquaculture of Kagoshima to thrive and gain nationwide and worldwide recognition for unique and quality products. 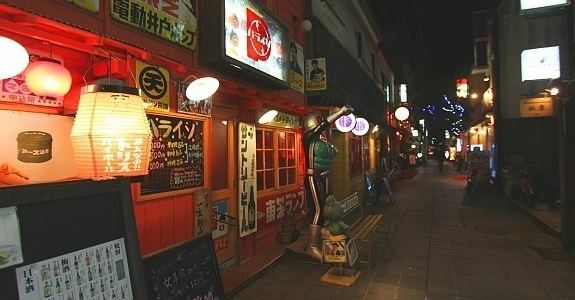 Numerous restaurants around Kagoshima feature Satsuma Province local cuisine. Popular cuisine incorporating local agriculture include kibinago　sashimi (silver-striped herring), buri Amberjack, kampachi yellowtail, "Black Label Products" such as kuro-ushi Wagyu beef, kuro-buta Berkshire pork dishes, and kuro-Satsuma jidori chicken (sometimes served as raw, chicken sashimi); smoked eel, keihan, and miki (fermented rice milk consumed among residents of the Amami Islands). Satsuma age, or deep-fried fish cake, comes in great variety in Kagoshima. Though the deep-fried fishcake can be found throughout the country, the Satsuma Domain (modern-day Kagoshima Prefecture) is commonly believed to be the birthplace of the snack. It is said, though, the concept was introduced from the Ryūkyū Kingdom (modern-day Okinawa Prefecture) by Satsuma Lord, Nariakira Shimazu. There are many types of sweets produced in Kagoshima Prefecture. Kagoshima-based Seika Foods Co., Ltd. (セイカ食品株式会社: Seika shokuhin kabushiki-kaishahas produced some of Japan's most popular and timeless sweets such as hyōrokumochi Bontan Ame (ボンタンアメ), Satsuma Imo Caramel (さつまいもキャラメル), and green tea-flavored Hyōrokumochi, Minami "shirokuma" shaved ice desserts, etc. Traditional treats outside of Seika Food Co., Ltd. products include karukan (sweet cakes made from steamed yams and rice flour), jambo-mochi, kokutō brown sugar from the Amami Islands, getanha brown sugar cake, etc. In 1559, at Kōriyama Hachiman Shrine (郡山八幡神社) in Izumi City (伊佐市) a carpenter wrote atop a wooden board "the Shintō Priest of this shrine is too stingy to offer me Shōchū (焼酎)" showing an early love for the spirits. 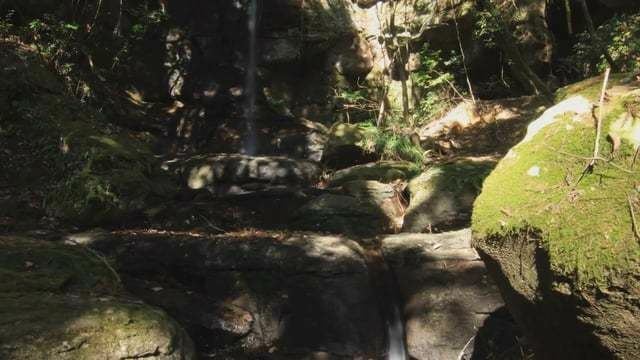 Kagoshima Prefecture is officially recognized (by the World Trade Organization) as the home to one of the most traditional beverages of Japan, shōchū. In Kagoshima there are 113+ distilleries, producing about 1,500 highly acclaimed brands, placing Kagoshima in the top for production quantity and shipment. While visiting Kagoshima, one may notice labels reading Honkaku-shōchū (本格焼酎). Honkaku-shōchū is a distilled beverage produced with traditional skills using ingredients such as natural spring water, sweet potatoes, locally-grown sugar cane, and grains. There is a variety of honkaku-shōchū including Imo-jōchū (芋焼酎, shōchū distilled from sweet potatoes), Mugi-jōchū (麦焼酎, distilled from barley), Kome-jōchū (米焼酎, distilled from rice), etc. Another type of shōchū is Kokutō-shōchū (黒糖焼酎, shōchū distilled with brown sugar). Shōchū has long gained international favor and has come to be comparable to Bordeaux for wine, Scotch for whiskey, and Cognac for brandy. Also, the Amami Islands of Kagoshima Prefecture are the only areas sanctioned to bear the label of kokutō-shōchū. Kurozu (黒酢) or black vinegar is another item of the "Black Label Products" of Kagoshima, the other of which is Kokutō-shōchū. There are a number of kurozu farms around Kagoshima, most of which are located around the Kirishima area. Most kurozu farms produce kurozu bottled vinegar (fermented for a single year, 2+ years) along with other items such as salad dressing, powders, capsules, spices, candy, etc. Kurozu also comes in different flavors such as grape, orange, ume plum, etc. though the most popular flavor by far is apple. The farms are open to visitations and often offer tours. Today, Kagoshima is home to a distinctive dialect of Japanese known as Satsugū dialect (薩隅方言 Satsugū Hōgen) or Kagoshima dialect (鹿児島弁 Kagoshima-ben), differing from the usual Kyushu dialects with its pronunciations of the yotsugana. Kagoshima was one of the host cities of the official 1998 Women's Volleyball World Championship. 1st Family Head- Shimazu Tadahisa – Japanese daimyō, founder of the Shimazu clan, a son of Minamoto no Yoritomo. Norihiro Nakajima (Kagoshima City, Kagoshima) – Japanese manga artist of Astro Team, etc.